We're down to under a month to get all your shopping done. We at the Paddle Junkie have hand picked a few of our favorite items that everyone should have at their disposal. Ranging from $400 dollar boots to $20 cups we have a wide arrange of gifts selected for any budget. And if for some reason you can't figure out who to give these two, I'm willing to bet you have plenty of room under your own tree. Wolverine has been creating timeless boots for over 130 years and not much has changed. Obviously the production methods and materials have been updated since then but they have always been gorgeous. Anything in the 1000 mile collection is a must have for the boot connoisseur. The Evans boots are no exception, excellent craftsmanship paired with modern technologies allows for an extremely comfortable boot built to last a lifetime. Beautiful and rugged, the Horween leather develops a unique complexion over time. Vibram heel and forepart on the outsole allow for traction and durability, built to allow resoling, these boots will last forever. Exquisite leather and epic durability make Wolverine 1000 Mile collection a must have. 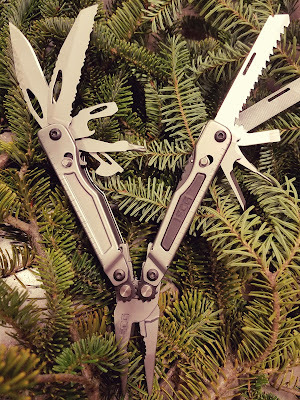 Every man needs a good multitool. Whether it stays in the garage or is constantly on his belt, these are a must have. Everything SOG touches, turns to gold. If the men and women who defend our freedom use it, you know it’s good. 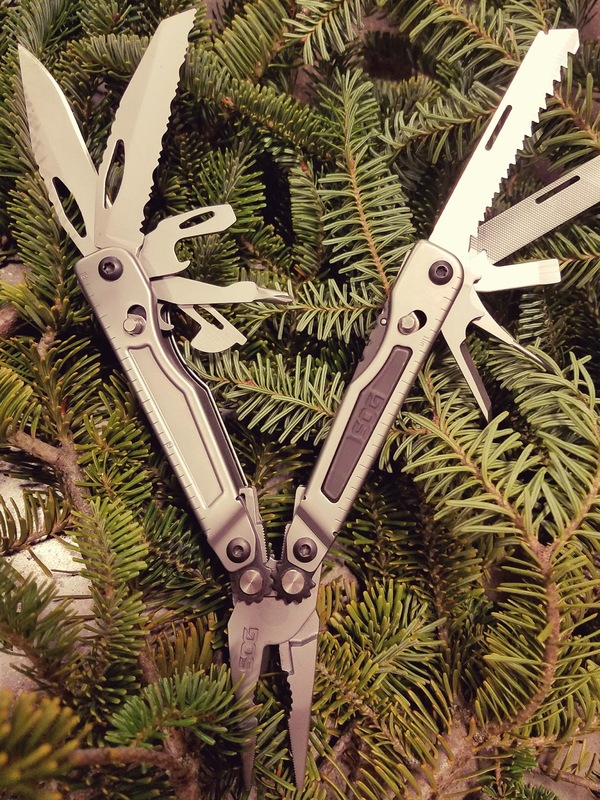 Powered by compund leverage that doubles your gripping power, it also features a hex tool kit to round out the 18+ tools it makes up for. SOG makes quality gear at an affordable price and this is no different. Obviously multi-tools take a beating and this has no signs of premature failure. Only time will tell, but I have no doubt this will last a very very long time. I would recommend upgrading the pouch it comes with, I have had the hex kit slip through it’s pocket and onto the ground. Haven’t lost it yet but it’s only a matter of time. Overall, this is an exceptional piece and should be put on your wishlist immediately. Looking for a practical gift for a special women in your life? Let me introduce you to the Ahnu Sugar Peak Winter Boot. These are not your grandma's winter boots. Weighing in at 25 oz, these boots are perfect for any outdoor adventure, with or without snow. I have never been one to wear winter boots because they were often to clunky and heavy for everyday use. However, Ahnu did not miss a beat when designing this boot. With our delayed winter, I took these out for a brisk, fall morning hike to test the comfort and warmth of these boots, they did not disappoint. The breathable membrane & 200 grams of Thinsulate kept my feet warm while preventing overheating. The waterproof leather and water- resistant wool collar were much appreciated after our adventure took us across the stream using wet rocks as our guide.The removable insole provides heel and arch support as well as a design technology to keep you in a neutral position and provide stability to help support you on any terrain. Not only does it provide the functionality of a winter boot, but it also brings the comfort of your favorite tennis shoes. Do you like luke warm coffee? Do you enjoy a slightly warmed up beer? Most likely the answer is no. 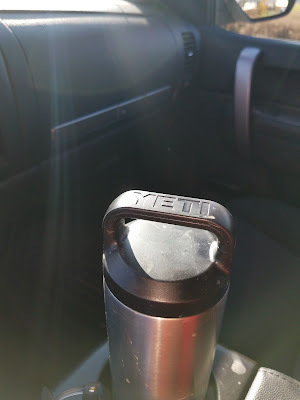 Well Yeti has the perfect solution to the problem. The rambler series, a double wall vacuum insulated stainless steel, sweat proof series of cups and bottles. Ranging from a 10 oz cup, perfect for coffee or 3 fingers of bourbon, to the 64 oz growler. Yeti has been the leader in this category since the beginning and they show no signs of slowing down. The perfect stocking stuffer anyone? This is the first year we got our hands on some Wolverine apparel and we weren’t disappointed. 100% Cotton flannel paired with 100% microfleece liner is built to keep the warmth in. This is seriously toasty and extremely comfortable. No need for fancy technology here, back to the basics. It worked for hundreds of years and it’s likely to work for the next 100 years. Simple button up snaps in the front with a chest pocket make for a perfect jacket to layer under a shell. I’m thoroughly impressed with the jacket, plus it looks good in the office. Tired of looking like a janitor with your giant key ring, jingling as you saunter down the sidewalk? 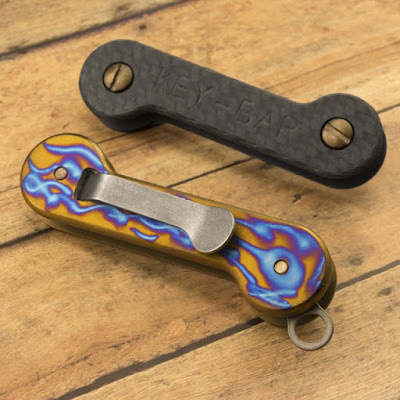 The KeyBar is a simple yet sophisticated solution to the problem. Take all those rattly keys and align them encased between what looks like a swiss army knife of keys. The scales of the faux knife are made from whatever your heart desires; aluminium in every fashion imaginable, G10, Titanium or Carbon Fiber. Attach it to a carabiner or clip it to your pocket. A variety of accessories are also available; everything from a USB drive to a titanium comb. Say goodbye to the obnoxious jingle for good. More than your average pocket knife, the EX-01 from Hogue Knives is a burly folding knife that will handle anything you throw at it. 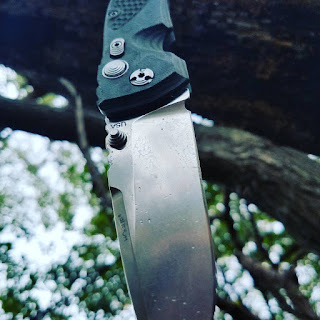 The 4" drop point blade is sturdy and holds an edge even after massive abuse. The G10 handle has been machined to provide grip in all the right places and looks good doing it. A push button blade lock works smoothly and the safety ensures that you wont have it close on you while you're working. Never wish you had "more knife" again. Classic wayfarrer design without the ridiculous price tag. These killer shades from Sunski bring all the style you want and pack in the tech your eyes need. Polarized and touting UV A/B/400 protection. The frames are light yet durable in a matte black finish while the lenses come in a variety of colors. Stuff someone's stocking full of style. Have kids that love the outdoors too? 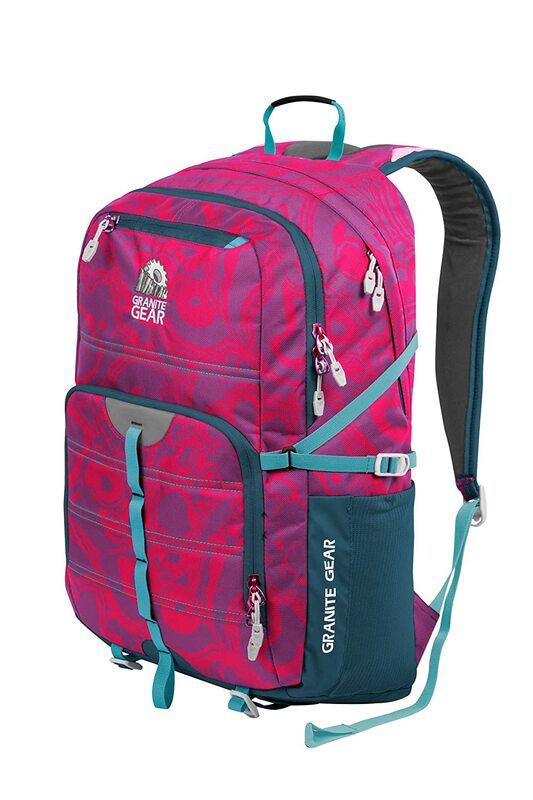 These killer packs from Granite Gear can play on the trails and in the classroom equally well. Kill two birds with one stone. Have your littles looking sharp carrying their books to school, then when the weekend rolls around, load their gear in and head to the woods. At a little over 30 liters, these packs are big enough to handle any book load they need and can easily stow enough gear for an overnight or light weekend. Granite Gear's suspension system makes it a comfortable pack to wear and the external storage options mean quick access to the gear the kiddos need now.